A white shirt, an Elmridge green and yellow tie (elastic ties are fine), an Elmridge jumper, grey trousers and black shoes. A white blouse, an Elmridge green and yellow tie (elastic ties are fine), an Elmridge cardigan or jumper, a grey skirt or pinafore, dark green, black or grey tights and black shoes (not boots). Pupils in Reception will continue to wear the same as the above but with a polo t-shirt rather than a shirt. In the Nursery uniform is optional. Winter uniform will be worn until Easter at which point pupils will be able to wear polo t-shirts and grey shorts or green and white checked summer dresses again as the weather gets warmer. For physical education pupils should wear a yellow t-shirt, green shorts and wear trainers not pumps. (Many pupils in Reception have pumps. They may continue to keep their pumps in school as they do not go outside for P.E . at present and only use them for walking to the hall). Pupils may wear track suit bottoms and a sweat shirt/track suit top in the winter for outdoor games. Some girls request to wear their school tights on cooler days for outdoor games. For hygiene reasons we would prefer that the girls wore track suit bottoms as these are removed at the end of the lesson. All items of uniform can be ordered from our supplier, Monkhouse. 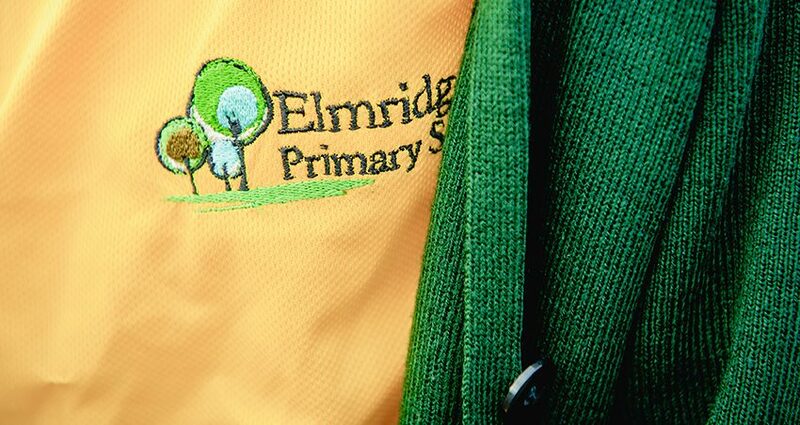 appreciate the support of parents in this matter as we feel that the uniform is an important element of the identity and ethos of Elmridge. Please don’t hesitate to contact us with regard to uniform if you have any questions or concerns. You can download our School Uniform Policy. School uniform can be purchased from Monkhouse in Altrincham. Please contact the store direct for details of their opening hours.